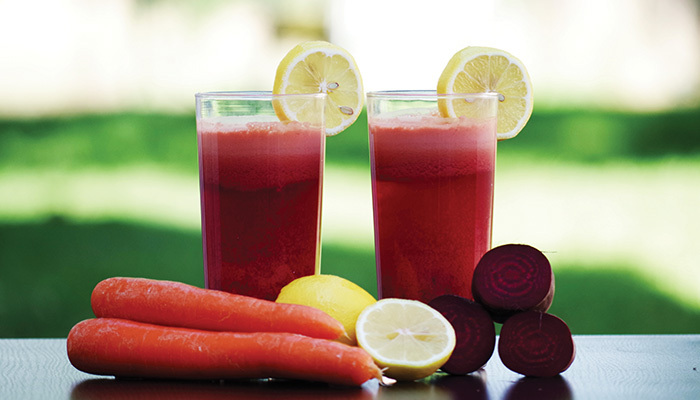 Take the first step to improving your overall health with a Juice Fasting Detox retreat in the Algarve. Cleanse your body through a detoxifying meal plan or a medically approved juice fasting detox, Spa and marine based therapies and invigorating daily group activities. Prices in Euros, including VAT at the current rate. Programme, room categories and prices are subject to availability at the time of reservation. Not cumulative with other official offers or promotions. The programme inclusions are unbreakable and non-refundable. Unused items will be forfeited and cannot be reimbursed. After written confirmation of your health & wellness programme by our reservations department, changes to the programme inclusions will be subject to a surcharge. Longevity Vitality Plan activities may change without prior notice. Minimum age for Health & Wellness programmes: 18 years old. All bookings and cancellations must be requested in writing to the email reservations@longevity.pt. The cancellation policies deadlines are only valid within Lisbon time zone (GMT 00:00) office working hours (9am to 6pm). All information contained in this page may change without prior notice. – If cancelled with more than 4 days before the arrival date: no fee will be charged. – If cancelled with 4 days or with less than 4 days before the arrival date, or in case of no-show, late arrival or early departure: the total price of the reservation will be charged. – If cancelled with more than 9 days before the arrival date: no fee will be charged. – If cancelled with 9 days or with less than 9 days before the arrival date, or in case of no-show, late arrival or early departure: the total price of the reservation will be charged. – If cancelled with more than 16 days before the arrival date: no fee will be charged. – If cancelled with 16 days or with less than 16 days before the arrival date, or in case of no-show, late arrival or early departure: the total price of the reservation will be charged. Vilalara Thalassa Resort is not an “Adults Only” Resort. Therefore, kindly expect to find families in the resort, especially during Easter and summer holidays. Our beautiful and tranquil setting offers abundant relaxation & garden areas for peace and tranquillity of our Wellness guests and the Thalassa & Medical Spa is an “Adults Only” facility. I wish to receive Longevity Newsletters.